Recently, Architect of Sound interviewed Dr. Godfried-Willem Raes – General Director of the “Robot Orchestra” Logos M&M (Man and Machine) Ensemble, President of the artist-run Logos Foundation of experimental music and sound in Ghent, Belgium, and composer – or music maker as he puts it – of new-music. For a small taste of the article, the Logos Foundation was named after ‘Logos 3:5’, a piece a young Godfried-Willem Raes wrote in conservatory and performed with students – which lead to the group’s ban from the conservatory. Luckily, the group stayed together and evolved into the new-music production center. 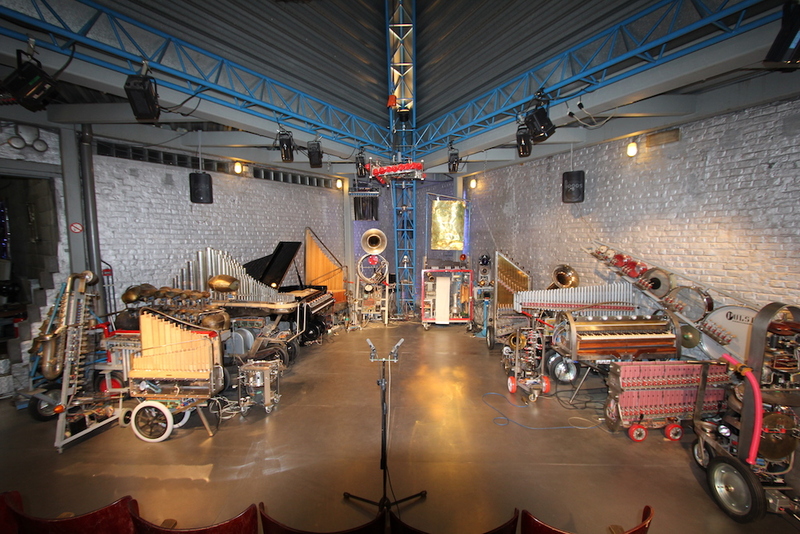 The ensemble is now a 67-piece robot orchestra and a crew of (human) musicians, dancers, technicians, and others who travel around Western and Northern Europe to perform and host workshops about instrument creation. To learn more, read AOS’s interview linked above and check out the Logos Foundation’s schedule of upcoming events.